A great team volleyball top. The ASICS BT2510 Volleycross semi-fitted jersey design comes courtesy of lightweight and breathable moisture management fabric. 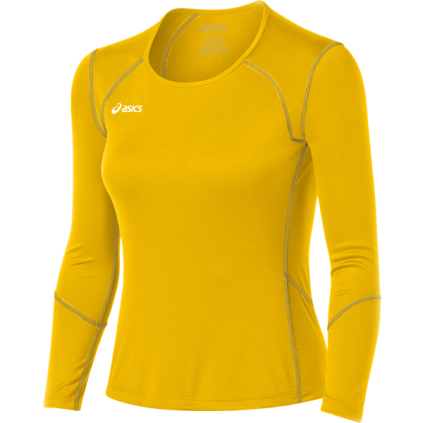 Other features include contrast stitching and sleek team styling with solid colors that are perfect for liberos.